An omission in my original table of details about each individual airframe - and hereby rectified: the dates of each first flight and delivery. Of course this list is as correct as the sources I used so any corrections are welcome. 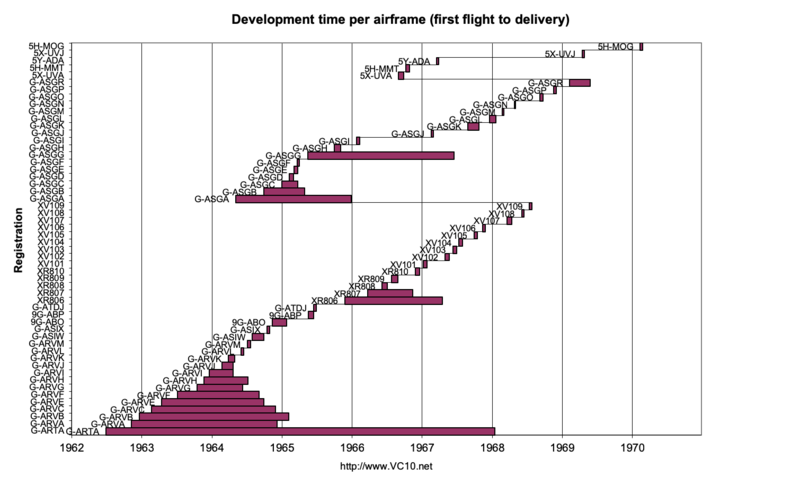 The first graph below shows the development time for each airframe, first flight to delivery. It is interesting to see how this got shorter with each new variant. When the RAF ordered their tanker conversions this created four new VC10 type numbers, and a new set of first flight dates and deliveries. These are listed in the second table below. 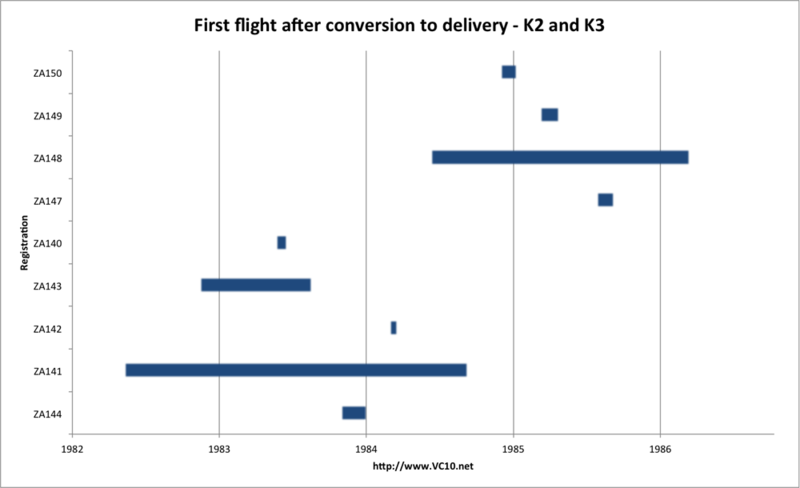 The second graph shows the number of active VC10s over the career of the type. 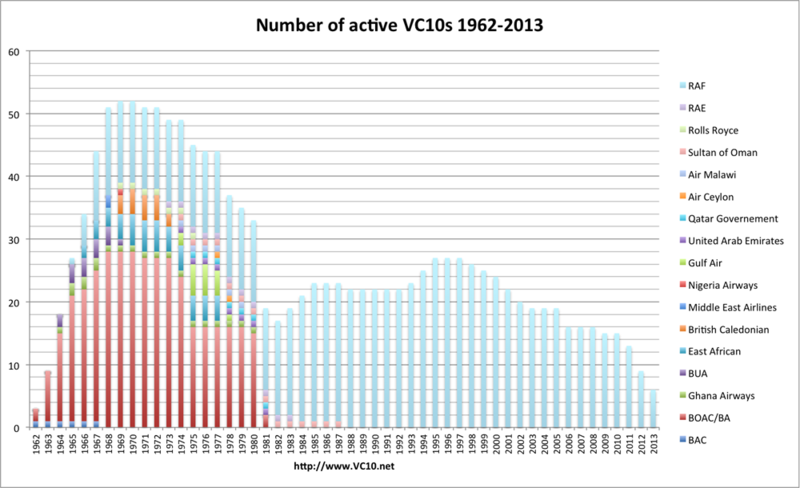 Number of active VC10s over the career of the type. Development time per airframe for the K2 and K3 tankers, most of the development was done with ZA141 (with ZA143 taking over this task when '141 got damaged) and ZA148. 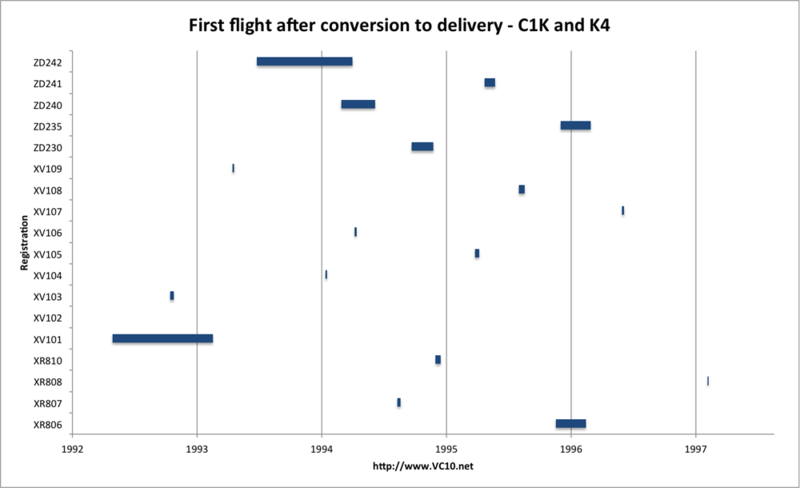 Development time per airframe for the K4 and C1K tankers, it is clear that the K4s used up more time to get right. 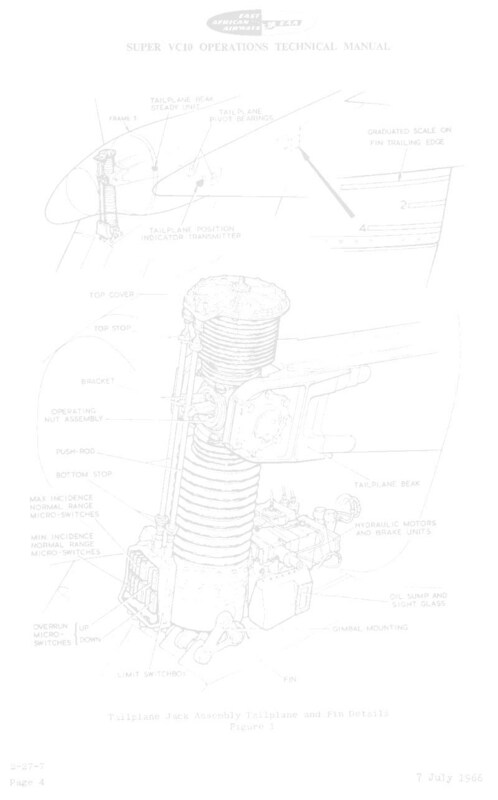 The C1Ks were simple conversions in comparison but were spread over several years.